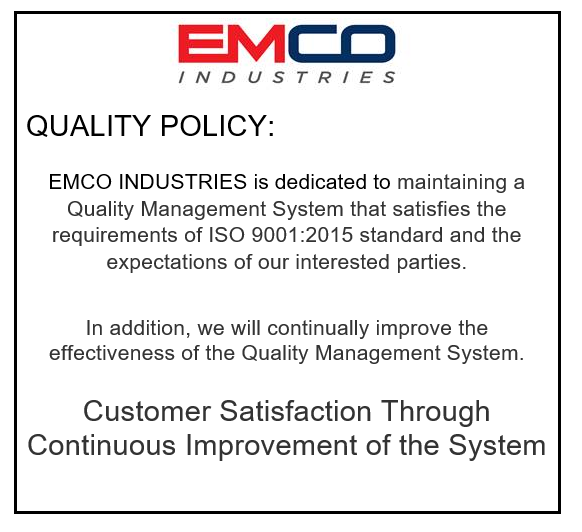 As an International Standards Organization (ISO) 9001:2015 supplier, EMCO Industries manufactures products with safety, quality, and longevity in mind. Quality management is the cornerstone of the ISO 9000 family, and we take those rules, guidelines, and regulations seriously. That is why we are able to provide best-in-class leaf springs to our wide range of clients. We keep those guidelines and standards at hand, whether we are at our state-of-the-art fatigue testing facility or undergoing employee training. Fatigue testing is essential when designing leaf springs. We want to know how our springs will perform in the real world, and fatigue testing allows us to see that. We use a fatigue testing machines to validate all of our designs or processes. The machine goes through cycles to replicate what will happen on the field. This type of quality control is one of the reasons why EMCO Industries is trusted by everyone from agriculture component manufacturers to specialty vehicle manufacturers. It is impossible to ensure a durable design without using software for modeling. Our finite element analysis software models entire systems and analyzes the stress points. Then we can remove stress from the places it doesn’t need to be. This helps us create highly durable leaf springs that last. We also improve quality with internally designed programs. Designed by various leaders at our company, these programs are unique in the industry. They ensure that we maintain best-in-class quality while utilizing the best technology the industry has to offer. Training and qualifications lay the foundation for an excellent quality system. Our team engages in on-the-job training and has decades of problem-solving experience through testing and validating. Our industry is constantly changing, and we ensure that our employees continue learning to keep up with the changes. Quality is the most important factor in this industry, and EMCO Industries has it covered. 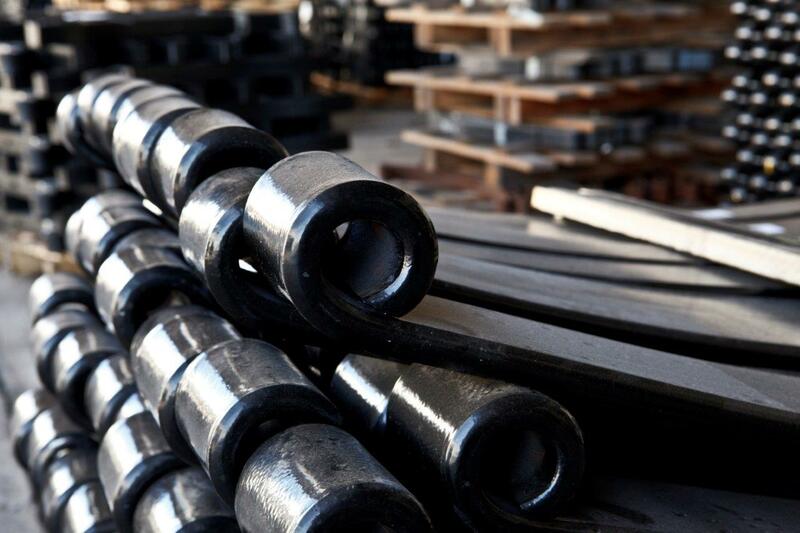 If you want quality, competitively priced leaf springs or agricultural components, call us today.